Sixty years after the historic Brown vs. Board of Education Supreme Court decision and the end of the separate but equal doctrine in schools, how desegregated are our school and how does America’s educational system compare to the rest of the world? 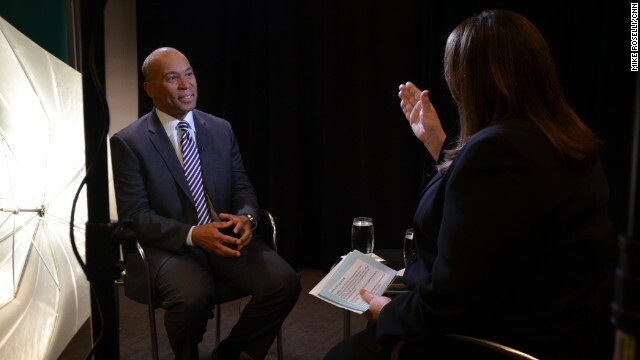 A conversation with Massachusetts Governor Deval Patrick about race and equality in America’s schools, and Democratic politics. New revelations about the NSA leaks from a new book by Glenn Greenwald, the journalist who helped Edward Snowden. An exclusive interview with Senate Intelligence Committee chair Dianne Feinstein (D-CA) about spying and America’s secrets. Then, our political panel with former White House Communications Director Anita Dunn, Newt Gingrich and Cook Political Report's Amy Walter on Veterans Affairs Secretary Eric Shinseki’s fate, Hillary Clinton’s age and another test for the tea party. Plus, we’ll speak with California Governor Jerry Brown in our 12pm hour. He’ll give us the latest on the ‘unprecedented’ wildfires burning his state and the search for a cause. Did arson play a role? Watch Sunday 9am and noon ET.